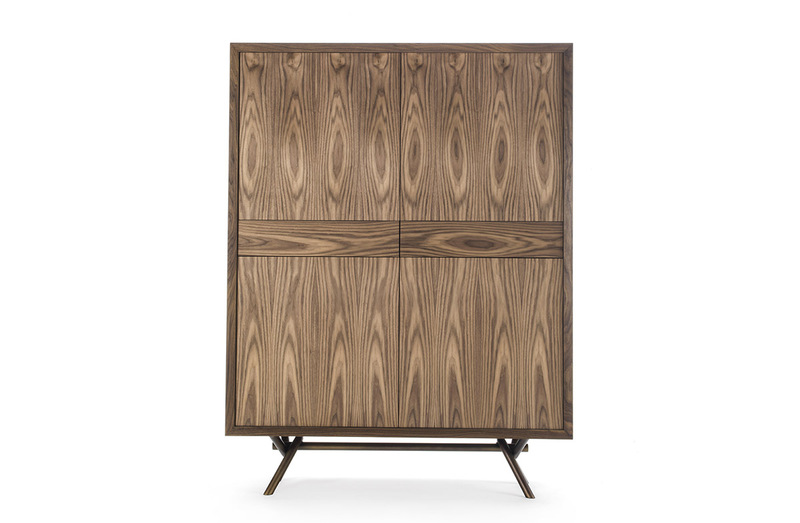 Cabinet with structure in oak or walnut wood, and base in twisted iron metal. Four exterior doors and central drawers arranged to highlight wood grain pattern. Walnut or oak wood with or without knots. Iron.